THE Sarkin Fulani of Lagos State, Alhaji Mohammed Bambado has urged the governorship candidate of the All progressive Congress, APC, Mr. Babajide Sanwo-Olu to remember the Arewa community in Lagos State if God assists him to become governor next year. 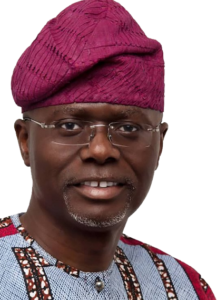 The Fulani monarch made the request while welcoming Sanwo-Olu, who paid a courtesy visit to his palace in Surulere for royal blessings towards the next February general elections. According to Bambado, many a times, various candidates visited the palace with a lot of promises but at the end, the Arewa Community was forgotten after they have been able to achieve their aims. In his response, Mr Sanwo-Olu commended theleadership of Alhaji Bambado the Sarkin Fulani of Lagos for the peaceful atmosphere in his domain and the firm control of his subjects.